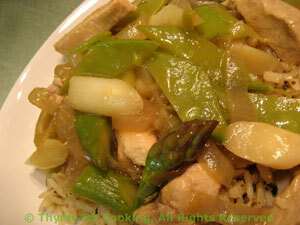 Spring Vegetable Stir-Fry, with Turkey, Thyme for Cooking gourmet menus. White asparagus is much more common in Europe. I often buy a bit of both, as I did for this dish.